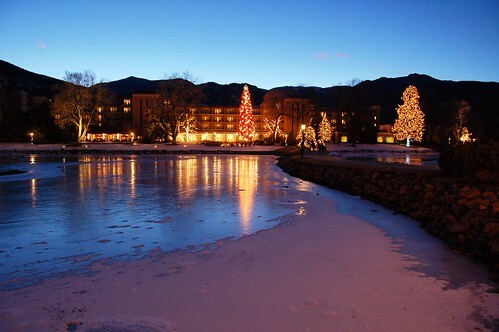 Icy Broadmoor Lake, originally uploaded by Atwater Village Newbie. Surely a Winner, originally uploaded by Atwater Village Newbie. TONIGHT AFTER 5:00PM Atwater Village's holiday spirit shall be judged. 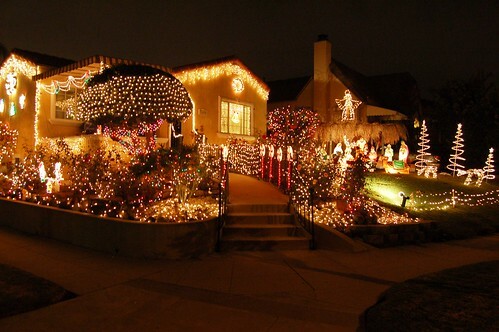 The annual lighting contest is, as posited here, the less annoying, more organic alternative to the Department of Water and Power's Griffith Park display. My prediction: judges will drive around till they get to this house at Glenfeliz and Glenmanor, then declare their winner. After the 'Snow' in Burbank, originally uploaded by Atwater Village Newbie. 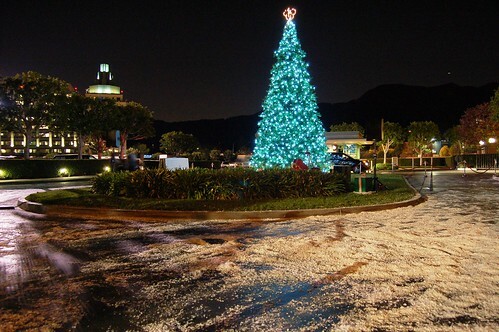 THE DISNEY STUDIO tree and some kind of foam-like "snow." Coyotes in Los Feliz: Not Bold, Got It? Griffith Park Coyote, originally uploaded by patrick_cates. "As a resident of Los Feliz, please don't spread crap like 'the coyotes are really bold'.... Nothings new with the wildlife except they are misplaced because of the fires and what does bold mean....really stupid comment. "They are the same as they have always been and will always be, trying to exist and survive in there unique family structures like you and I...what do would you think they would say about people if they had a blog.....would it be truthful and accurate....Perhaps they would tell you this is there home too, that people try to poison, shoot, and harm them....maybe they really should be more bold and fearless ...... 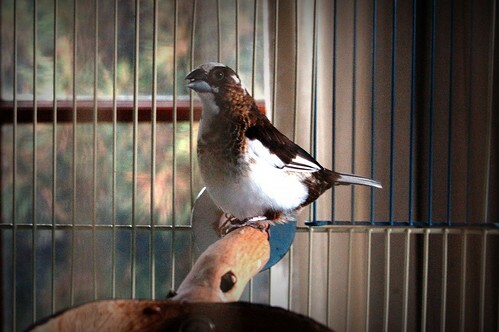 I still say she's full of crap." I, for one, am looking forward to the Coyotes of Los Feliz blog! 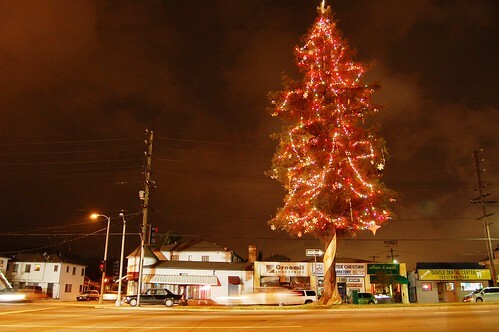 Glendale Tree Lit, originally uploaded by Atwater Village Newbie. Median Tree Getting Lit - Festivities start tonight, Thursday Dec. 6, 6:30pm. Santa arrives via fire engine at 8:00pm to switch on 2,200 lights on the 80-year-old Redwood in front of 3250 Glendale Blvd. fletchersquare101, originally uploaded by Luis Lopez. 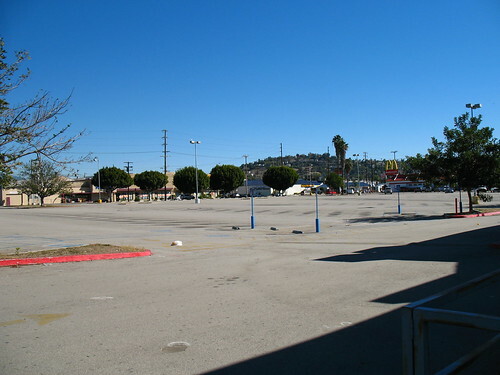 THE GIANT, EMPTY PARKING LOT near Fletcher Drive and San Fernando Road will stay giant and empty a while longer. The Home Depot has been chased away, officially, from developing the old Kmart site. This is a huge win for people who think northeast LA has plenty of jobs and that taggers don't have enough unoccupied buildings upon which to practice. And for people who love California Pizza Kitchen. Yay. Pip!, originally uploaded by Atwater Village Newbie.